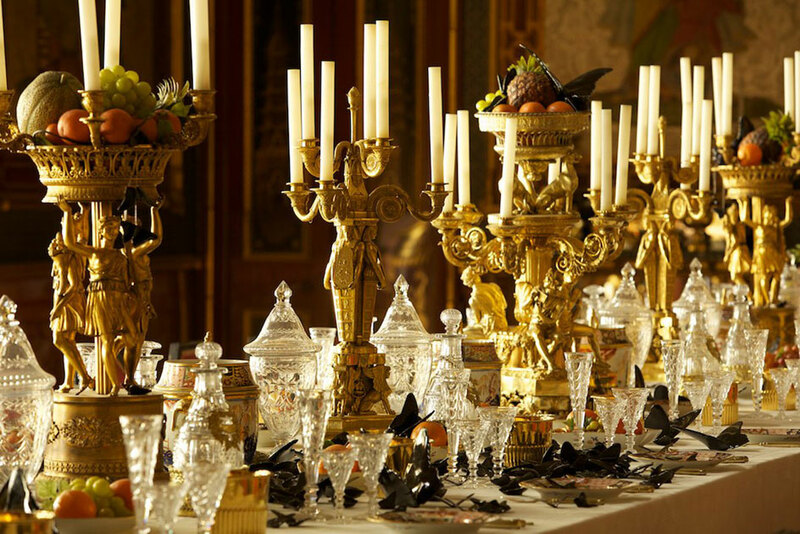 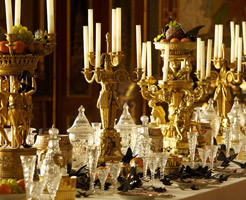 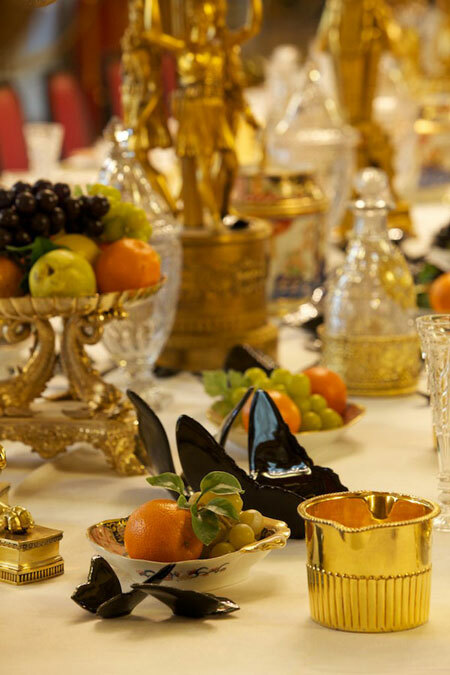 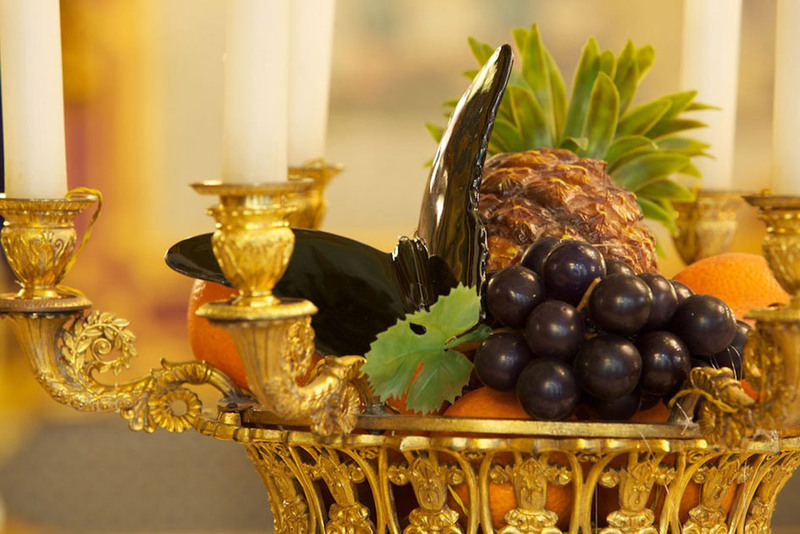 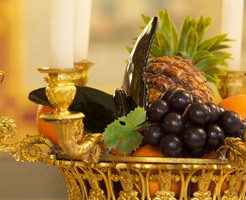 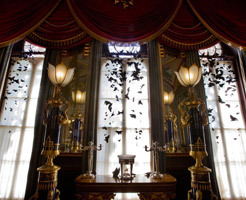 This work was made in response to the decadent history embodied in The Royal Pavilion in Brighton, built by John Nash for the Prince Regent (later George IV). 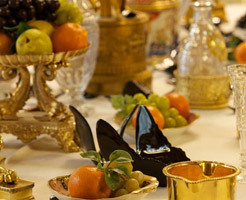 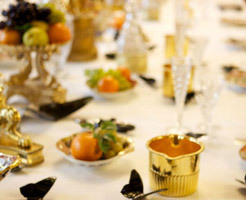 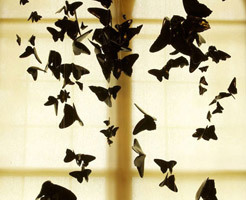 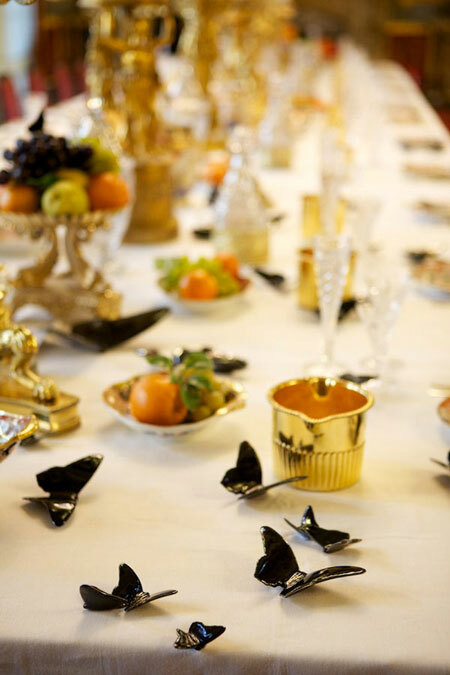 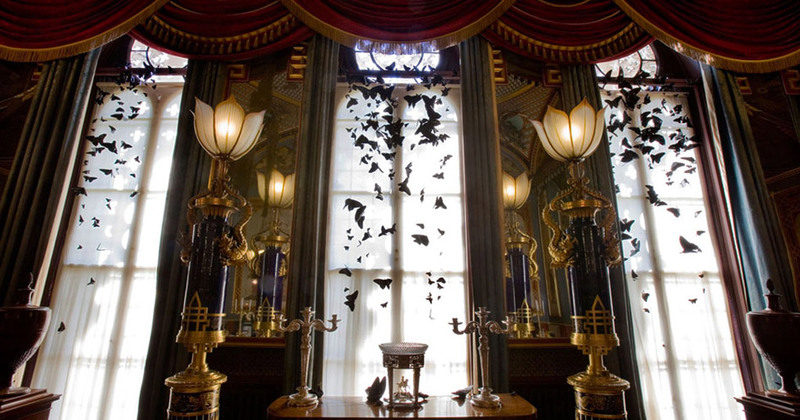 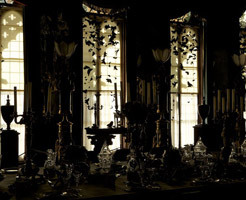 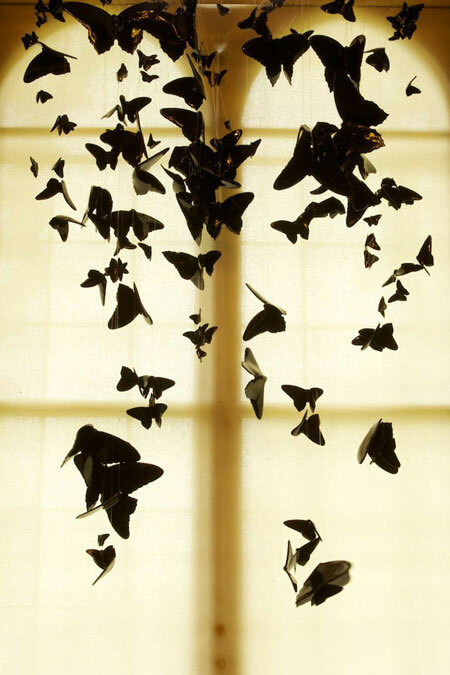 The artist installed 3000 black glazed ceramic butterflies in several sites within the pavilion, such as the Great Kitchen and Entrance Hall; their presence reflected the ornamentation and material indulgence of its interiors. 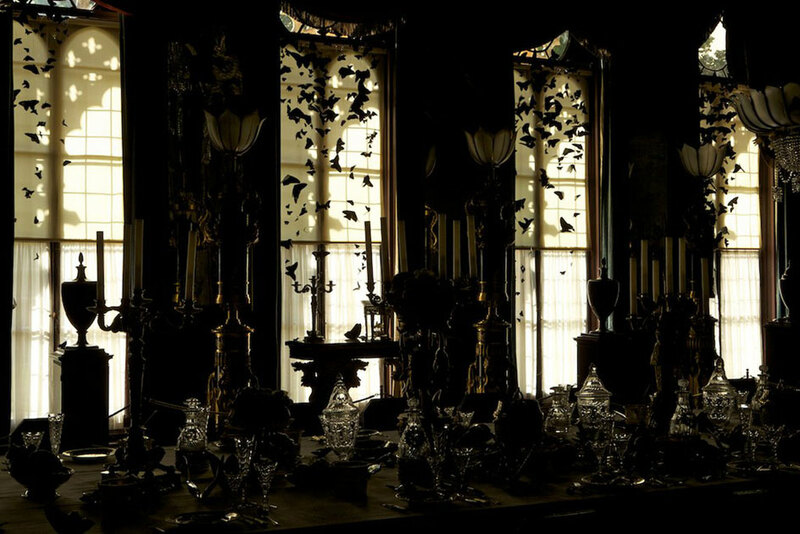 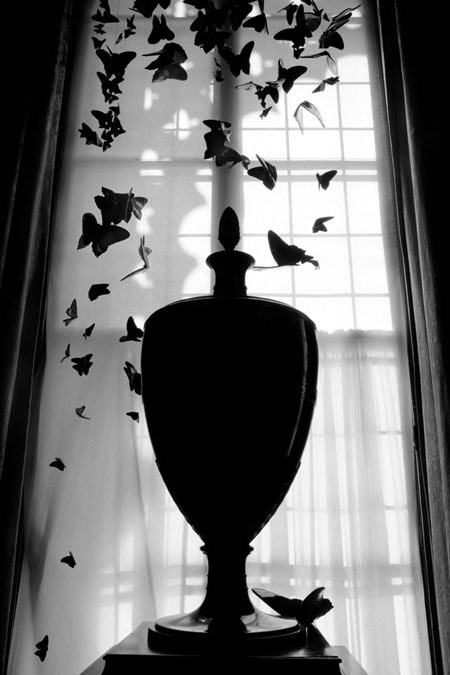 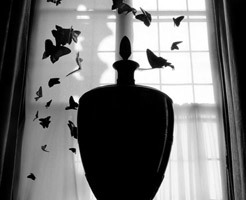 The butterflies also appeared to condemn these past excesses as they descended on the vast interiors to lay their dark veil of mourning.